Want to give your vintage car a new classic look? 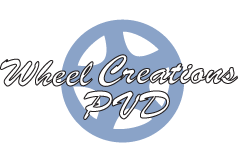 Wheel Creations PVD is proud to bring you show-quality PVD chrome wheels and other custom finishes to suit your needs. As one of the original PVD chrome providers in the U.S., we know that vintage car owners are always looking for an edge when it comes to improving the appeal of their classic autos. Our PVD chrome process is the ultimate modern chroming solution for your factory finish and vintage rims or wheels. Ready to upgrade your vintage car wheels with a new set of customized PVD chrome wheels? You can count on our O.E.M chrome plating process to get the perfect wheel finish for your classics. Whether you own a classic 1966 Shelby 427 Cobra, a Chevrolet El Camino, 1961 Jaguar E-Type, 1963 Corvette Sting Ray or a 1969 Ferrari Dino 246 GT, we have a selection of PVD chroming options to suit your needs. 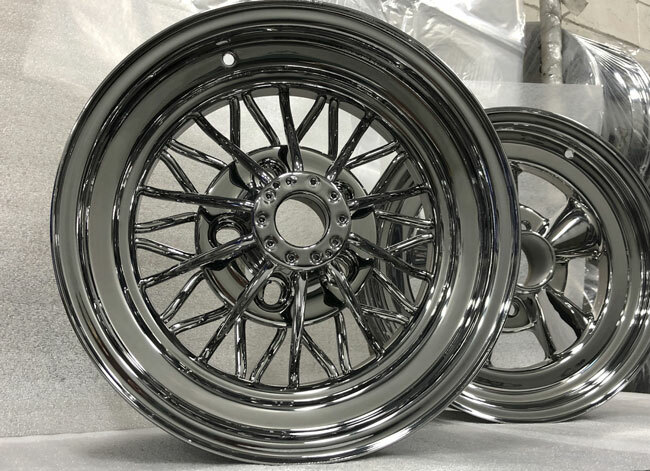 Want to get your wheels PVD chrome finished? Contact us at (562) 381-2670 today.